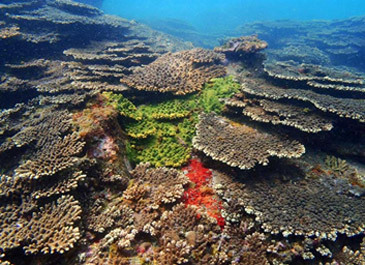 While corals are threatened by increasing water temperatures in tropical regions, poleward range expansion of reef-building corals has been observed. At the same time, temperate regions are expected to serve as refugia in the face of climate change. 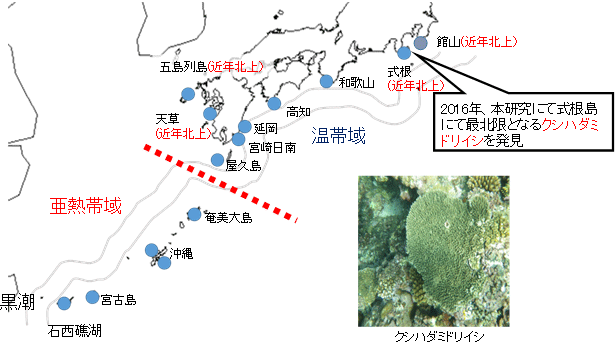 To elucidate the important indicators of the sustainability of coral populations, we examined the genetic diversity and connectivity of a common reef-building coral Acropora hyacinthus along the Kuroshio Current, including recently expanded (<50 years) populations. 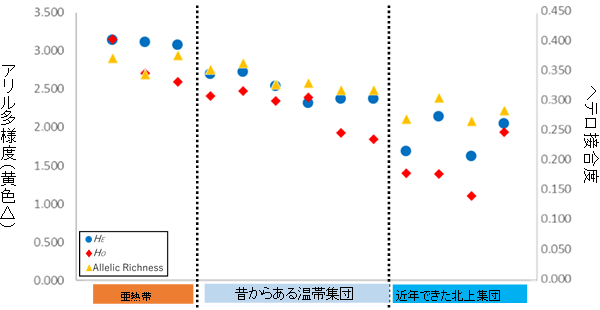 The level of genetic diversity gradually decreased towards the edge of the species distribution. This finding underpins the importance of assessing the genetic diversity of newly colonized populations associated with the climate change for conservation purpose. This also suggests the vulnerability of recently colonized coral populations against the environmental changes. Larval dispersal simulation of an oceanographic model indicated there was a Kuroshio associated barrier between subtropical and temperate region, implying not all coral species can migrate from subtropical to temperate region. This study highlights the importance of pre-existing temperate regions as coral refugia for some coral species, which have been rather underappreciated in local coastal management in face of the climate change.